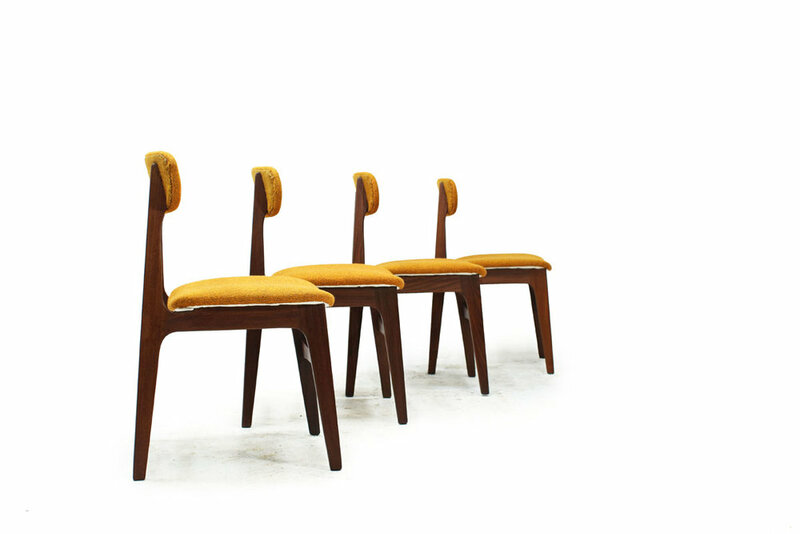 1960’s Canadian MCM Teak Wood set of 4 Dining Chairs with Original Yellow Fabric by R Huber & Co.
Width: 18.5" | Depth: 18.25" | Seat Height: 17.5" | Back Rest Height: 30.75"
A classic chairs from the 1960s modern era designed and manufactured by R. Huber & Co. of Canada. 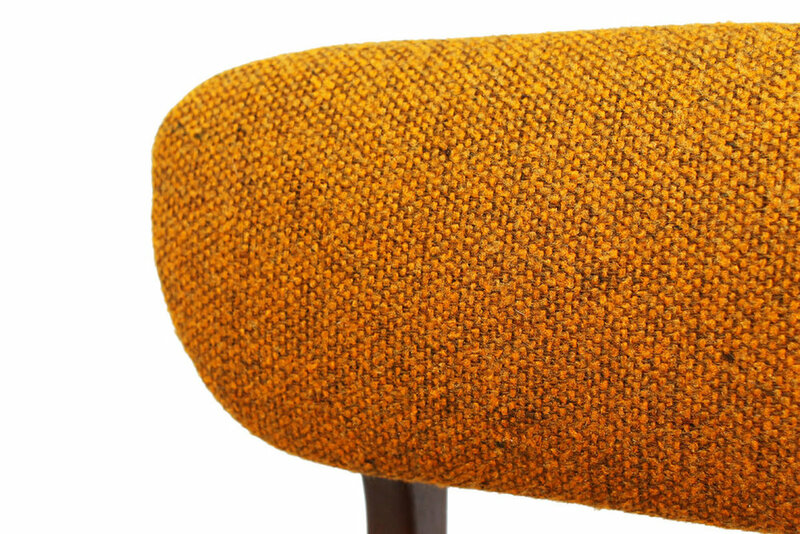 Extremely comfortable with tons of Danish Mid-Century Modern character. Features a solid teak frame.